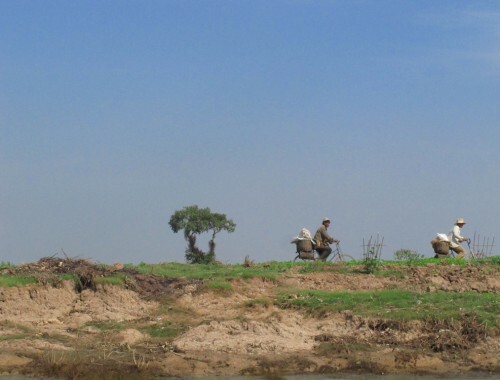 For me, Southeast Asia was one culinary location I couldn’t wait to explore. Bring on the noodles, bring on the ginger, bring on the rice. For Matt, not so much. Since pretty much everything on the local menus (save steamed rice) is at risk of containing either fish, nuts, or sesame, Southeast Asian food was pretty much off limits for him. 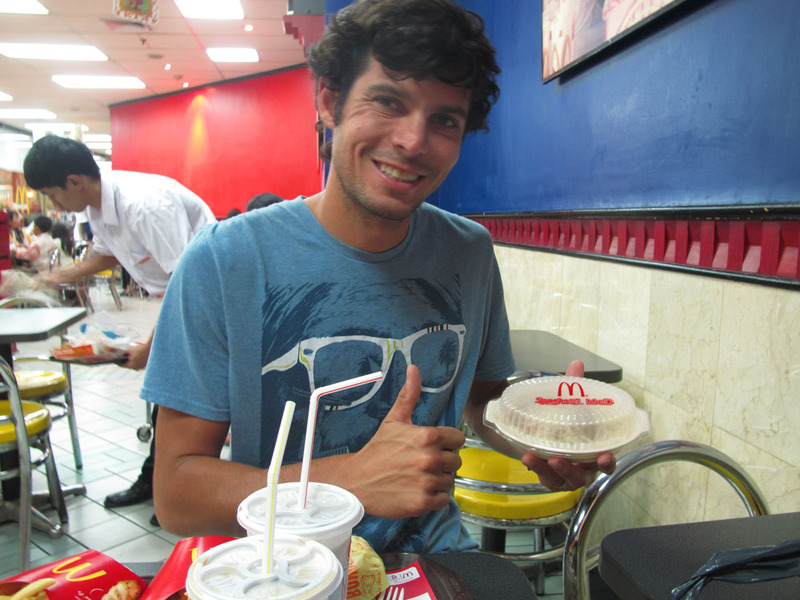 As with our other Asian destinations, we stuck to places where we could choose from both western food and local food so Matt would find something to eat. It didn’t stop us from going most places we wanted to go, although at some points we did have to wait to eat lunch until we returned from a day trip. Thailand was the first Southeast Asian country we visited and had the cuisine I knew best, by far. 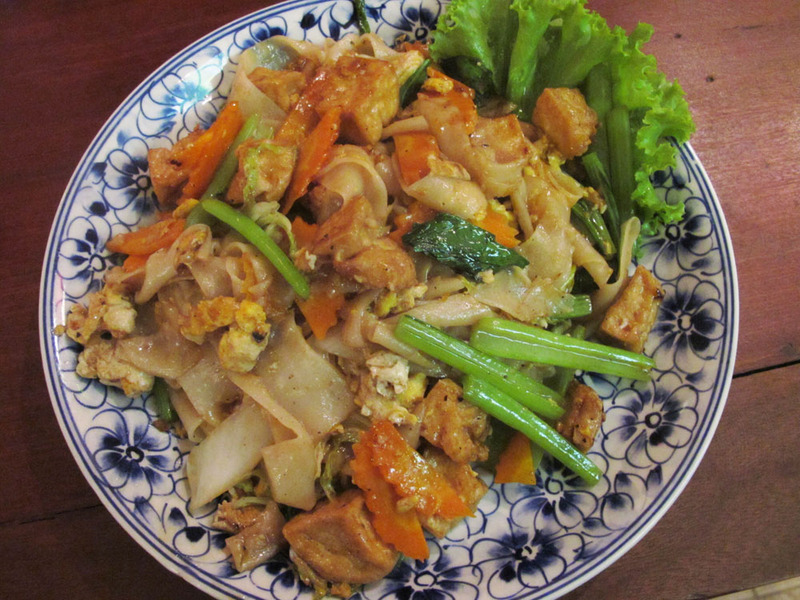 In New York, there are seriously nine million Thai restaurants. 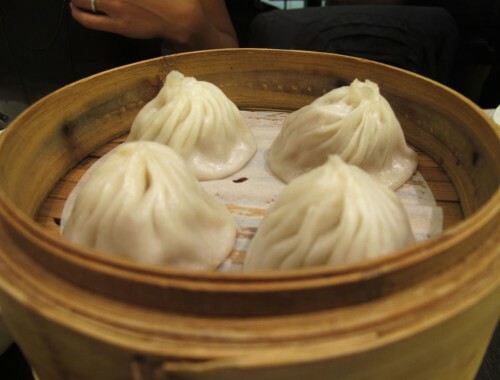 I’ve eaten at a few of them and gotten to know several dishes over time that I enjoy. But man, is it so much better in actual Thailand. American Thai food is not as far off from the real thing as American Chinese food tends to be, but the freshness of the ingredients and instinct of the cooks in Thailand just amplifies the impressive flavors of their cuisine. Pad Thai, though basic and safe, is still one of my favorites. 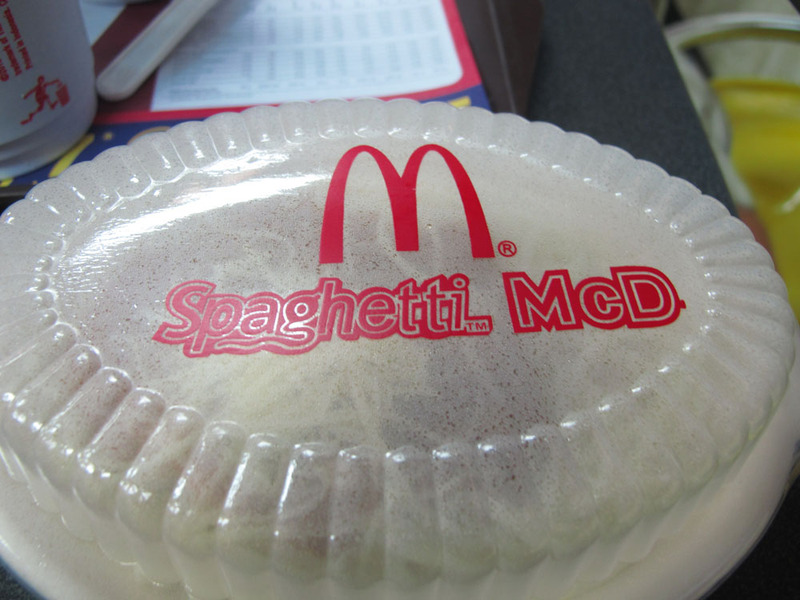 I don’t care that its not adventurous, and I don’t care that a lot of tourists eat it when in Thailand. 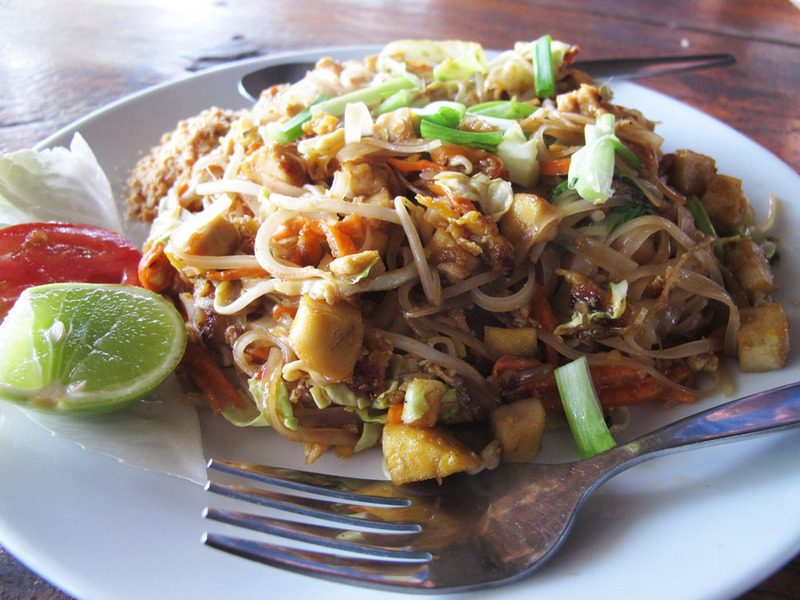 When pad thai is made right, it is one of my favorite things to eat. Noodles, tofu, tangy flavors, fresh green onions…. ordered without peanuts of course. Another stand by favorite of mine is chicken with ginger. Chicken with ginger is something I like to make at home in my own kitchen, granted its not nearly as good as the versions made by professionals or in Asia. There is something comforting in the consistency chicken with ginger had across the countries we visited. Some had peppers, some had fresh herbs, some were simply chicken and ginger, but it always would bring me back to myself when I needed something familiar. Since curries are usually hot, I was initially timid about delving into the world of Thai curry. 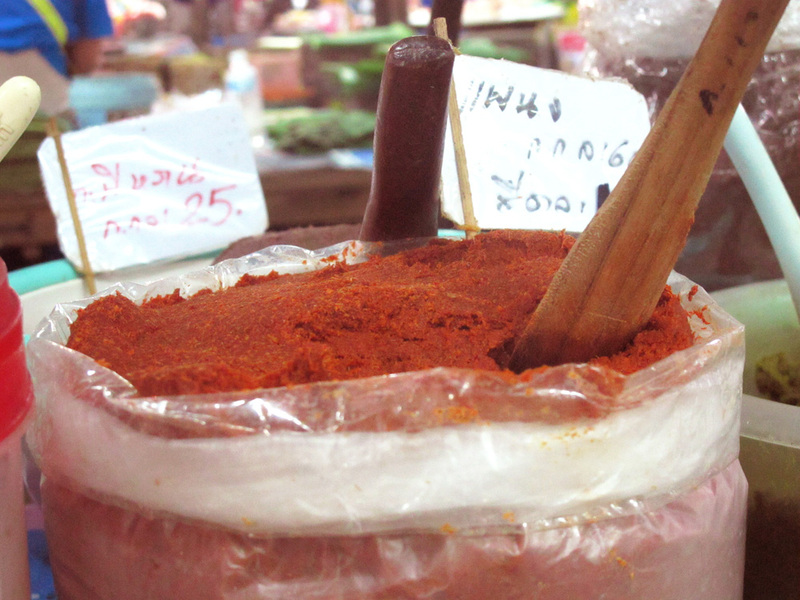 Red curry, Massaman curry, and green curry are all made with a paste of hot peppers, spices, and garlic, which is then mixed with vegetables, proteins, and coconut milk. Massaman curry also contains peanuts, which made it a difficult choice when traveling with Matt. Green curry was the most unique, as its flavors of keffir lime, galangal, and basil sets it apart from the Nepali and Indian curries I’ve had before. 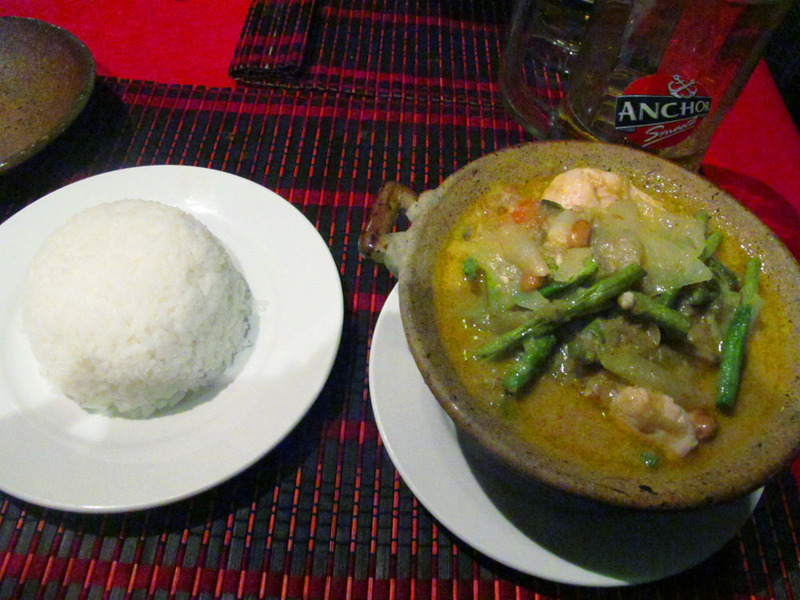 Green curry, mild of course, became part of my rotation of Thai dishes. 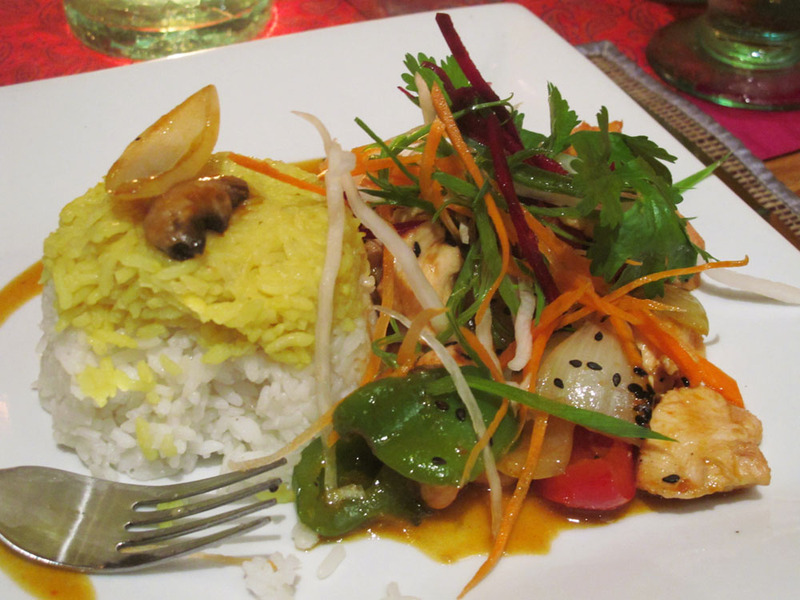 Cambodian cuisine is quite similar to Thai with one major exception. In general, everything I tasted was much less spicy. Even when mild spice was not specifically ordered, the food arrived with mild flavors. Maybe this was because I am quite obviously a traveler, or maybe because we chose to eat at the more westerner-friendly restaurants, but I enjoyed not having to worry that I was missing the point by skipping the heat. Again, my standby dishes were noodles, chicken with ginger, and curry. The noodles I found to be less flavorful than Thai noodle dishes, as sharp flavors were absent and more stock vegetables took their places. (like cooked carrots, cabbage, and long beans instead of sliced green onion, lime, and corriander). 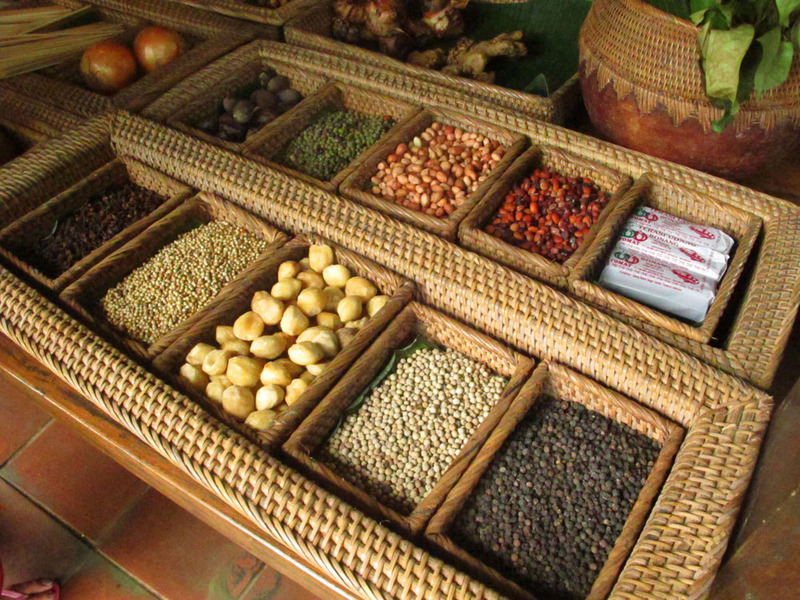 Khmer curry, on the other hand, only benefited from the use of these heartier vegetables. Cambodian curries felt more substantial and more filling since the heat was toned down and the mild flavors of the breadth of vegetables were more of a highlight. We arrived in Indonesia nearly two months after leaving Thailand and Cambodia. I had two months to get really pumped up about tasting more Asian dishes, this time with Indonesian flavors. In the end, I didn’t end up having quite as strong a connection with Indonesian food as I had had with Thai, but the flavors definitely set themselves apart. One really famous and very important part of Indonesian cuisine is satay, which unfortunately, is made entirely of peanuts. Obviously, this was not something I was comfortable experimenting with on a regular basis. I had one satay in our six weeks in Indonesia, and never fully got a feel for the dish in general. 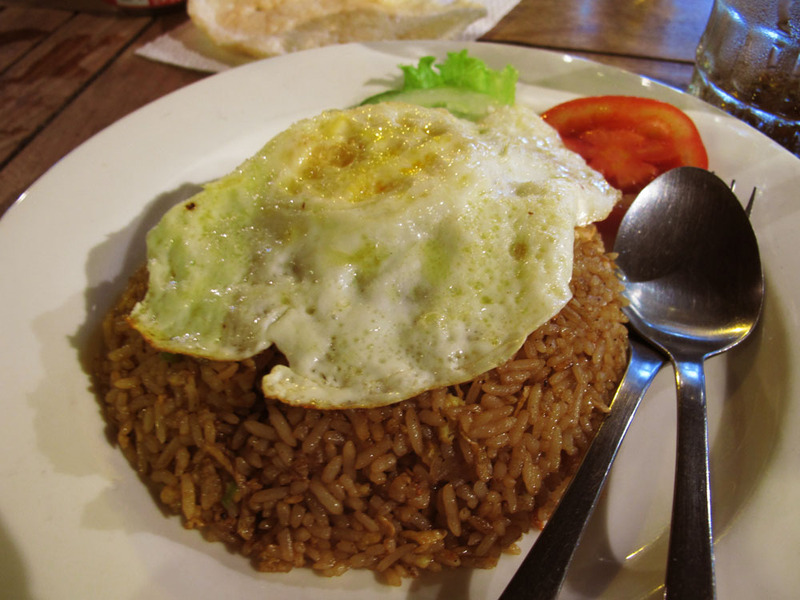 In addition to my favorite dishes of noodles, chicken and ginger, and curry, fried rice (nasi goreng) was a local favorite. Served commonly with an egg on top and prawn chips on the side, nasi goreng could be found in restaurants, food stalls, beach carts, and luxury resorts. Although often one note in flavor, it was a good addition to the rotation of favorites. 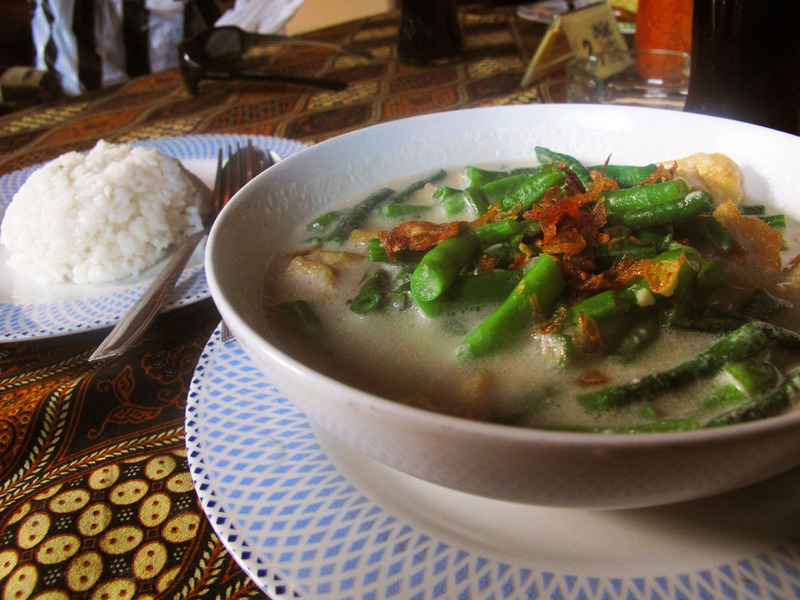 Indonesian curries were made both extremely spicy and extremely mild. It was hard to find it made with any medium level of spice. (Which is why Sambal is EVERYWHERE – make it as spicy as you like) Yellow curry, like in Nepal, was most popular in Annie-and-Matt-friendly restaurants. 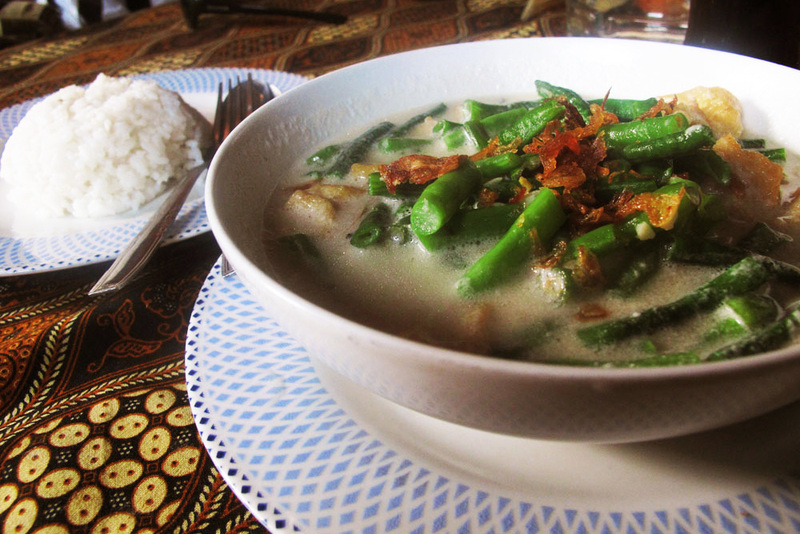 My favorite curries contained tofu, long beans, and crispy shallots with a side of steamed rice, flavored with pandan leaf. We are not huge dessert people, but it was hard to pass up on a Matt-friendly birthday dessert confection on his 31st birthday in Nusa Lembongan. 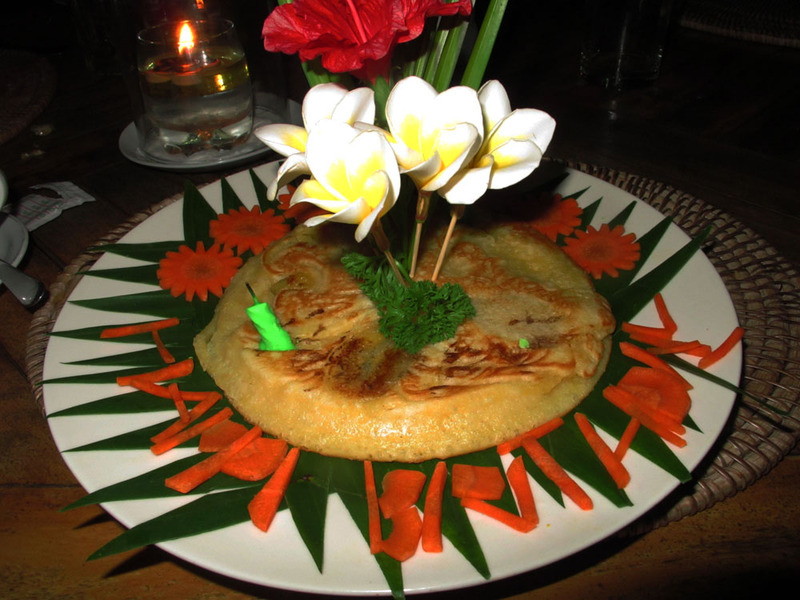 The wonderful staff at the Reef Lembongan Warung put together a banana pancake with birthday decorations and sweet birthday message. In the end, Thailand would win Annie’s award for best cuisine in Southeast Asia, and not shockingly, best cuisine of the trip. 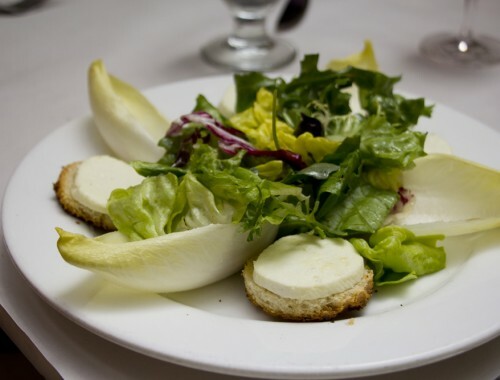 It’s the sharp fresh flavors and lightness of every dish that won me over. Though I didn’t get to experience everything in the spectrum of Southeast Asian fare, I am happy with the dishes I took away from our time in these three countries. I’ve been trying to seek out something in New York that brings me back to the warungs of Bali and the alleyway cafes in Pai. I haven’t found it yet. But I’ve got 9 million places left to try. I plan on going to South East Asia this coming August! I couldn’t be more excited and now that I see this food… I am just THAT MUCH MORE excited! Great food pics, I love those noodle dishes! thanks! they were delicious and i want to eat one right now!